Every second of your wedding day is absolutely crucial – but there are some moments that tend to be treated with more importance than others (and that’s mostly because they have a special symbolism to them, or they mark important milestones in the wedding itself). Your cake cutting is one of those moments: much expected (because, well, cake) and definitely very powerful in terms of symbolism, you cake cutting should be very well planned. Why? And more importantly, how do you plan the cake cutting into the timeline in a way that keeps everyone happy? We have some tips for you – keep reading if you want to find out more about this. Traditionally, the cake cutting happens sometime after the first dance – which is pretty much in between the dinner and the actual wedding party. The main reason behind this is quite easy to understand: you don’t want to stop people from having fun on the dance floor to serve them cake, so you will want to do that before the party actually starts. Furthermore, it makes sense that the cake is served after dinner and after the first dance – it feels like the perfect timing between actually eating, infusing with some romantic moments, and then sweetening yourself up before you dance the night away, right? Just because this is how it is traditionally done, it doesn’t mean you can’t work the cake cutting around your timeline. For example, many couples these days want to start the reception with the first dance – and in this cake, the cake should be served after the last course of the dinner. 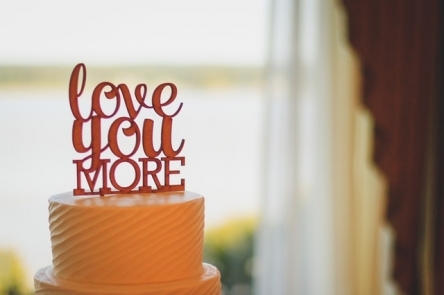 While you do have some degree of flexibility with your wedding cake cutting, it is still very important to acknowledge that you should serve it as soon as possible. Why? Because a lot of guests find this as the signal that it’s OK to leave the wedding – and for the elderly, for people who attend the wedding with their children, as well as people who have a flight to catch in the morning, this can make all the difference in the world. Have you booked your wedding venue in Macomb, Michigan? If you are looking for something genuinely beautiful in the area, be sure to contact Bluff Mountain Inn. We are here to provide you with the best there is, so that your wedding is amazing!